IT'S FEBRUARY..YAY - Onome Talk Am! 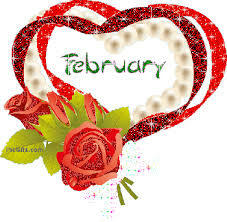 Happy new month dear friends of onometalkam.It’s February, the month of love; I am so excited because am a sucker for love even though I believe it should be celebrated everyday, it doesn’t hurt if a day is recognised almost allover the world as the month of love.We all have to celebrate the love, remember if you are in Rome you have to behave like The Romans; so if others are celebrating the day of love, you join too in the celebration.Do you get my drift?….Wink Wink. 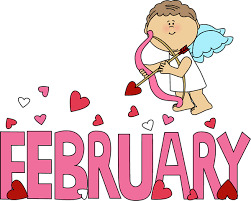 You may wonder why I am so excited; I will tell you why but you have to lean closer to me and let me whisper it into your ears….it’s my birth month and I was born on a unique day .Yay, now you know why. Well, this post is not about my birthday, I want to wish you a happy new month filled with loads of love and affection and good tidings. If you are not in love at the moment, may the arrows of cupid locate you wherever you are.